1. P. Roy and D. Dawn, "Fully integrated CMOS power amplifier using resistive current combining technique", IET Microw. Antennas & Propag., vol 12, issue 5, pp 826-832, Apr 2018. 2. P. Roy and D. Dawn, "A High Power Fully Integrated Single-Chip CMOS Transmitter for Wireless Communication of Unmanned Aircraft System", Microw. Opt. Technol. Lett., vol.59, No. 2: 432-439, Feb 2017. 3. D. Mitra, P. Roy and D. Dawn, "A Variable Gain CMOS Phase Shifter for Phased Array Antenna Applications", Microw. Opt. Technol. Lett., vol. 59, No. 2: 324-328, Feb 2017. 4. P. Roy and D. Dawn, "A high-power and high-efficiency CMOS VCO", Microw. Opt. Technol. Lett., 57: 2437-2441, Oct 2015. 5. P. Roy and D. Dawn, "High-power and high-efficiency complementary metal-oxide-semiconductor voltage-controlled oscillator for automatic dependent surveillance-broadcast system", IET Microw. Antennas & Propag., Vol 10, Oct 2015. 6. E. Juntunen, D. Dawn, J. Laskar, and J. Papapolymerou, "CMOS 45GHz Vector Modulator with Gain/Phase Correction Through Calibration", Electronics Letters, vol. 49 iss. 4, pp 267-269, Feb. 2013. 7. E. Juntunen, D. Dawn, J. Laskar, and J. Papapolymerou, "High-Power, High-Efficiency CMOS Millimeter-Wave Oscillators", IET Microw. Antennas Propag., vol. 6 iss. 10, pp 1158-1163, 2012. 8. E. Juntunen, Debasis Dawn, Stephane Pinel, and Joy Laskar, correction to "A High-Efficiency, High-Power Millimeter-Wave Oscillator Using A Feedback Class-E Power Amplifier in 45-nm CMOS", IEEE Microwave and Wireless Components Letters, vol. 21, no. 10, pp. 574, Oct. 2011. 9. E. Juntunen, Debasis Dawn, Stephane Pinel, and Joy Laskar, "A High-Efficiency, High-Power Millimeter-Wave Oscillator Using A Feedback Class-E Power Amplifier in 45-nm CMOS", IEEE Microwave and Wireless Components Letters, vol. 21, no. 8, pp. 430-432, Aug. 2011. 10. E. Juntunen, M.C.-H Leung, F. Barale, A. Rachmadugu, D. A. Yeh, B. G. Perumana, P. Sen, D. Dawn, S. Sarkar, S. Pinel, and J. Laskar, "A 60-GHz 38-pJ/bit 3.5-Gb/s 90-nm CMOS OOK Digital Radio", IEEE Trans. Microwave Theory Tech., vol. 58, No. 2, pp. 348-355, Feb. 2010. 11. Debasis Dawn, Padmanava Sen, Saikat Sarkar, Bevin Perumana, Stephane Pinel, and Joy Laskar, "60-GHz Integrated Transmitter Development in 90-nm CMOS", IEEE Trans. Microwave Theory Tech., vol. 57, No. 10, pp. 2354-2367, Oct. 2009. 12. S. Pinel, P. Sen, S. Sarkar, B. Perumana, D. Dawn, D. Yeh, F. Barale, M. Leung, E. Juntunen, P. Vadivelu, K. Chuang, P. Melet, G. Iyer, and J. Laskar, "60GHz Single-Chip CMOS Digital Radios and Phased Array Solutions for Gaming and Connectivity", IEEE Journal on Selected Areas in Comm., vol. 27, No. 8, pp. 1347-1357, Oct. 2009. 13. Padmanava Sen, Saikat Sarkar, Debasis Dawn, Stephane Pinel, and Joy Laskar, "Integrated VCO with UP/Down Converter for Si-based 60GHz WPAN Applications"€�, IEEE Microwave and Wireless Components Letters, vol. 18, No. 2, pp . 139-141, Feb. 2008. 14. Joy Laskar, Stephane Pinel, Debasis Dawn, Saikat Sarkar, Bevin Perumana, and Padmanava Sen, "The Next Wireless Wave is a Millimeter Wave", Microwave Journal, vol. 50, No. 8, pp. 22-36, Aug. 2007. 15. Debasis Dawn, Yoji Ohashi, and Toshihiro Shimura, "A Novel Electromagnetic Bandgap Metal Plate for Parallel Plate Mode Suppression in Shielded Structures", IEEE Microwave and Wireless Components Letters, vol. 12, No. 5, pp. 166-168 May 2002. 16. Debasis Dawn, "Analysis and Design of a Novel Radial Folded Waveguide Structure for Feeder of a Planar Radial Line Antenna", International Journal of RF and Microwave Computer-Aided Engineering, vol. 9 No. 5, pp. 415-423, Sept. 1999. 17. Debasis Dawn, "Analysis and Design of Folded Waveguide as Feeder for Planar Radiating Structure", Journal of Electromagnetic Waves and Applications, vol. 13, No. 6 pp. 767-780 1999. 18. Tsukasa Yoneyama and Debasis Dawn, "Optical Intensity Modulator Using Inverted Slot Line at 60 GHz", "Optical Quantum Electronics, Chapman & Hall, U. K. ", the special issue on "Microwave-Optical Interactions"€�, vol.30, No. 11-12, pp. 985-993 Dec. 1998. 19. Debasis Dawn and Tsukasa Yoneyama, "Periodic Metal Plate Loaded Dielectric Slab Antenna with Broadside Radiation", IEEE Transactions on Antennas and Propagation, Vol. 43, No, 10, pp. 1076-1081 Oct.1995. 1. Arka Biswas, S. Babak Hamidi, Chitralekha Biswas, Palash Roy, Dipankar Mitra and Debasis Dawn, "A Novel CMOS RF Energy Harvester for Self-Sustainable Applications", IEEE Wireless and Microwave Technology Conf. (WAMICON), April 2018. 2. Palash Roy, S. Babak Hamidi and Debasis Dawn, "Fully Integrated LTE-advanced Band-Switchable High-Gain CMOS Power Amplifier", IEEE International Conf. on Electro/Information Technology (EIT), May 2017. 3. S. Babak Hamidi and Debasis Dawn, "Fully Integrated LTE-Band CMOS Tunable Power Amplifier", IEEE Wireless and Microwave Technology Conf. (WAMICON), April 2017. 4. Palash Roy and Debasis Dawn, "Single-chip CMOS Transmitter for Automatic Dependent Surveillance-Broadcast (ADS-B) System", IEEE International Conf. on Electro/Information Technology (EIT), May 2016. 5. Dipankar Mitra, Palash Roy and Debasis Dawn, "A Variable High Gain and High Dynamic Range CMOS Phase Shifter for Phased Array Beamforming Applications", IEEE International Conf. on Electro/Information Technology (EIT), May 2016. 6. Dipankar Mitra, Alarka Sanyal, Palash Roy and Debasis Dawn, "A Variable Gain CMOS Phase Shifter for Phased Array Beamformer Applications", 3rd International Conference on Foundations and Frontiers in Computer, Communication and Electrical Engineering, ISBN: 978-1-138-02877-7, Jan. 2016. 7. Palash Roy and Debasis Dawn, "A High-Power and High-Efficiency CMOS VCO for Automatic Dependent Surveillance-Broadcast (ADS-B) System", IEEE International Conf. on Electro/Information Technology (EIT), May 2015. 8. Debasis Dawn, "60GHz CMOS Transmitter Front-end with Built-in Temperature Sensor"€, Asia Pacific Microwave Conference (APMC), Sendai, Japan, Nov. 2014. 9. Debasis Dawn, "Millimeter-Wave CMOS Radio Frequency Integrated Circuits Development and its Potential Applications" (Invited), Asia Pacific Microwave Conference (APMC), Sendai, Japan, Nov. 2014. 10. Debasis Dawn "Millimeter-Wave CMOS Switching Power Amplifiers", IEEE MTT International Microwave and RF Conference (IMaRC) Dec. 2013. 11. 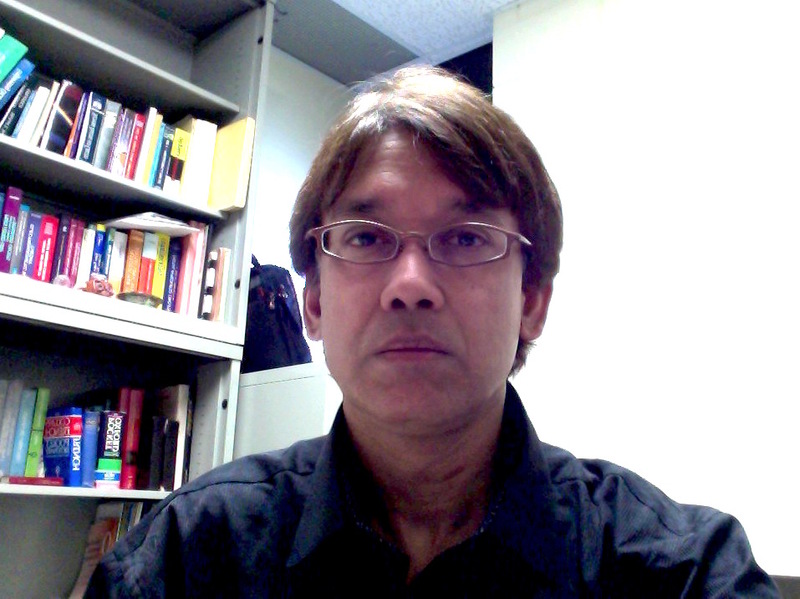 A. Sanyal, A. Mendoza-Radal, B. Ijaz, and D. Dawn "CMOS Phase Shifter for Conformal Phased Array Beamformer Applications", IEEE International Conference on Wireless for Space and Extreme Environments (WiSEE) Nov. 2013. 12. B. Ijaz, A. Sanyal, A. Mendoza-Radal, S. Roy, I. Ullah, M. Reich, D. Dawn, B. Braaten, N. Chamberlain, and D. E. Anagnostou "Gain Limits of Phase Compensated Conformal Antenna Arrays on Non-Conducting Spherical Surfaces using the Projection Method"€, IEEE International Conference on Wireless for Space and Extreme Environments (WiSEE) Nov. 2013. 13. C. Patterson, D. Dawn, and J. Papapolymerou "A W-Band CMOS PA Encapsulated in an Organic Flip-Chip Package"€, IEEE MTT-S Int. Microwave Symp. Montreal, Canada, June 2012. 14. E. Juntunen, W. Khan, C. Patterson, S. Bhattacharya, D. Dawn, J. Laskar and J. Papapolymerou "An LCP Packaged High-Power, High-Efficiency CMOS Millimeter-Wave Oscillator", IEEE MTT-S Int. Microwave Symp. Baltimore, MD, June 2011. 15. S. Shin, D. Dawn, D. Yeh and J. Laskar "A Model Inaccuracy Aware Design Methodology of Millimeter-wave CMOS Tuned Amplifiers", Wireless and Microwave Technology Conference (WAMICON), 2011 IEEE 12th Annual, April 2011. 16. N. Mallavarpu, D. Dawn, and J. Laskar "Temperature-Dependent Scalable Large-Signal CMOS Device Model Developed for Millimeter-Wave Power Amplifier Design", IEEE MTT-S Int. RFIC Symp. Baltimore, MD, June 2011. 17. V. Sridharan, A. Goyal, S. Sitaraman, N. Kumbhat," N. Sankaran, H. Chan, F. Liu, D. Dawn, V. Nair, T. Kamgaing, F. Juskey, V. Sundaram, and R. Tummala "Ultra-miniaturized WLAN RF receiver with chip-last GaAs embedded active", 61st IEEE Electronic Components and Technology Conference (ECTC), pp. 1371-1376, 2011. 18. J. Laskar, S. Pinel, S. Sarkar, P. Sen, B. Perumana, D. Dawn, M. Leung, F. Barale, D. Yeh, J. Shin, S. Hsiao, K. Chuang, E. Juntunen, G. Iyer, A. Muppalla and P. Melet "On the Development of CMOS Sub-THz Phased Array Technology for Communication/Sensing Nodes", IEEE MTT-S Int. Microwave Symp. Anaheim, CA, May 2010. 21. Joy Laskar, Stephane Pinel, Saikat Sarkar, Padmanava Sen, Bevin Perumana, M. Leung, Debasis Dawn, David Yeh, F. Barale, K. Chuang, G. Iyer, J-H. Lee, and P. Melet, "60GHz CMOS/PCB Co-Design And Phased Array Technology", IEEE Custom Integrated Circuits Conference (CICC) pp. 453-458, 2009. 22. Joy Laskar, Stephane Pinel, Debasis Dawn, Saikat Sarkar, Padmanava Sen, Bevin Perumana, David Yeh, and F. Barale, "60GHz Entertainment Connectivity Solution"€, 2009 IEEE International Conference on Ultra-WideBand, pp. 17-21, Sept. 2009. 23. D. Yeh, A. Chowdhury, R. Pellard, S. Pinel, S. Sarkar, P. Sen, B. Perumana, D. Dawn, E. Juntunen, M. Leung, H-C. Chien, Y-T. Hsueh, Z. Jia, J. Laskar and G-K. Chang "Millimeter-wave Multi-gigabit IC Technologies for Super- Broadband Wireless Over Fiber Systems", Optical Fiber Communication (OFC), 2009. 24. N. Mallavarpu, D. Dawn, S. Sarkar, P. Sen, S. Pinel, and J. Laskar "Temperature-Dependent Millimeter-Wave Scalable Large-Signal Model for 90nm CMOS"," " Asia Pacific Microwave Conference (APMC), Singapore, pp. 1-4, Dec. 2008. 25. Debasis Dawn, Saikat Sarkar, Padmanava Sen, Stephane Pinel, and Joy Laskar "60GHz Silicon-Based Tunable Amplifier", 38th European Microwave Conf. (EuMC), Amsterdam, The Netherlands, pp. 452-455, Oct. 2008. 26. Joy Laskar, Stephane Pinel, Debasis Dawn, Saikat Sarkar, Padmanava Sen, Bevin Perumana, David Yeh, and Francesco Barale "Co-Design of Fully Integrated 60GHz CMOS Digital Radio in QFN Package", 38th European Microwave Conf. (EuMC), Amsterdam, The Netherlands, pp. 5-8, Oct. 2008. 27. Debasis Dawn, S. Sarkar, P. Sen, B. Perumana, D. Yeh, S. Pinel, and J. Laskar "17-dB-Gain CMOS Power Amplifier at 60GHz", IEEE MTT-S Int. Microwave Symp. Atlanta, GA, pp. 859-862, Jun. 2008. 28. Saikat Sarkar, Padmanava Sen, Bevin Perumana, David Yeh, Debasis Dawn, Stephane Pinel, and Joy Laskar, "60GHz Single-Chip 90nm CMOS Radio with Integrated Signal Processor"€, IEEE MTT-S Int. Microwave Symp. Atlanta, GA, Jun. 2008. 29. Joy Laskar, Stephane Pinel, Saikat Sarkar, Padmanava Sen, Bevin Perumana, David Yeh, F. Barale, and Debasis Dawn, "A Transceiver for 60GHz High Data Rate Wireless Transmission", IEEE MTT-S Int. Microwave Symp. Workshop, Atlanta, GA, Jun. 2008. 30. Joy Laskar, Stephane Pinel, Saikat Sarkar, Padmanava Sen, Bevin Perumana, Debasis Dawn, David Yeh, and " F. Barale, "A SOC/SOP Co-design approach for mmW CMOS in QFN Technology", IEEE Custom Integrated Circuits Conference (CICC) pp. 73-80, " 2008. 31. S. Pinel, S. Sarkar, P. Sen, B. Perumana, D. Yeh, Debasis Dawn, and J. Laskar, "A 90nm CMOS 60GHz Radio", ISSCC Dig. Tech Papers, pp. 130-131, Feb. 2008. 32. Joy Laskar, Stephane Pinel, Debasis Dawn, Saikat Sarkar, Padmanava Sen, Bevin Perumana, and David Yeh, "FR-4 and CMOS: Enabling Technologies for Consumer Volume Millimeter-wave Applications", Electron Devices Meeting, 2007. IEDM 2007. IEEE International, pp. 981-984, Dec. 2007. 33. Bevin George Perumana, Anand Raghavan, Sudipto Chakraborty, Chang-Ho Lee, Debasis Dawn, Stephane Pinel, and Joy Laskar "A SiGe Sub-harmonic Mixer for Millimeter-Wave Applications", 37th European Microwave Conf. (EuMC), Munich, Germany, Oct. 2007. 34. Debasis Dawn, S. Pinel, S. Sarkar, P. Sen, B. Perumana, D. Yeh and J. Laskar "Development of CMOS Based Circuits for 60GHz WPAN applications", 2007 IEEE International Conference on Ultra-WideBand, Singapore, pp. 129-133, Sept. 2007. 35. Javier Alvarado Jr., Kevin T. Kornegay, Debasis Dawn, Stephane Pinel, and Joy Laskar "60GHz LNA using a Hybrid Transmission Line and Conductive Path to Ground Technique in Silicon", 2007 IEEE RFIC Symp., Honolulu, Hawaii, Jun. 2007. 36. Debasis Dawn, Yoji Ohashi, and Satoshi Nakamura, "A Novel Planar Transition from Microstrip to Waveguide", Asia Pacific Microwave Conference (APMC) Kyoto, Japan, Nov. 2002. 37. Debasis Dawn, Yoji Ohashi, and Toshihiro Shimura, "Parallel Plate Mode Suppression in Shielded Structures by Using Electromagnetic Band Gap Metal Plate"€, Asia Pacific Microwave Conference (APMC), Sydney, Australia, pp. 400-403, Dec. 2000. 38. Debasis Dawn, Yoji Ohashi, and Toshihiro Shimura, "Probe Pad Structures for Multi Module Scheme at 76 GHz Band", 30th European Microwave Conf. (EuMC), Paris, France, pp. 361-364, Oct. 2000. 39. T. Taniuchi, N. Mashio, Y. Konno, T. Sato, D. Dawn, and T. Yoneyama, "60 GHz Radiation Detection Using Electro-Optic Effect of DAST Crystal", International Topical Meeting on MICROWAVE PHOTONICS ATRI, Kyoto, Japan, pp. 317-320, Dec. 1996. 40. Tsukasa Yoneyama, Debasis Dawn, and Tatsuya Hanasaka, "Optical Intensity Modulator Using Inverted Slot Line at 60 GHz"€, International Topical Meeting on MICROWAVE PHOTONICS, ATRI, Kyoto, Japan, pp. 305-308, Dec. 1996. 41. Tsukasa Yoneyama and Debasis Dawn, "Optical Modulator Using Inverted Slot Line at 60 GHz", Proc. (DC Microwave / Optical Interactions) of U.R.S.I. General Assembly at Lille, France, Sept. 1996. 42. Debasis Dawn and Tsukasa Yoneyama, "Optical Intensity Modulator Using Inverted Slot Line at 60 GHz", Proceedings of 1996 China-Japan Joint Meeting on Microwaves, Hefei, P. R. China, pp. 48-51, Apr. 1996. 43. Debasis Dawn and Tsukasa Yoneyama, "A Periodic Metal Plate Loaded Dielectric Slab Antenna", 4th International Symposium on Recent Advances in Microwave Technology (ISRAMT '93), New Delhi /Agra, India, Dec. 1993. 44. Debasis Dawn and M. Sachidananda, "Analysis and Design of Strip Line to NRD Guide Transition", The 3rd Asia-Pacific Microwave Conference (APMC '90), pp. 15-18, Tokyo, Japan, Sept. 1990. 1. Debasis Dawn "Millimeter-Wave CMOS Radio Frequency Integrated Circuits Development and its Potential Applications", Asia Pacific Microwave Conference (APMC), Sendai, Japan, Nov. 2014. 2. Debasis Dawn "Silicon Microelectronic Circuits: Radio Frequency and Beyond"€, UGC Sponsored Refresher Course " Nano devices and low-power VLSI Design"€�, Jadavpur University, India, Dec. 2013. 3. 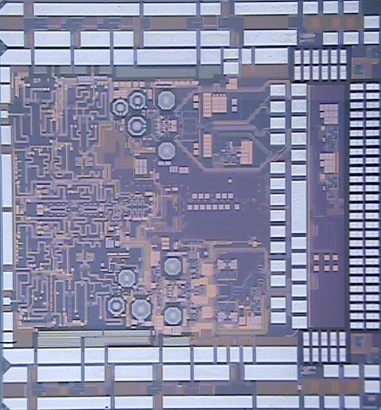 Debasis Dawn "CMOS Integrated Beam Former with Conformal Phased Array Antenna for Wireless Communications", NASA Jet Propulsion Laboratory (JPL), Pasadena, CA, USA, Jun. 2013. 4. Debasis Dawn "Millimeter-Wave CMOS Integrated Circuits Development and its Potential Applications", National Institute of Information and Communications Technology (NICT), Tokyo, Japan, May 2012. 5. Debasis Dawn "Layout and Temperature Dependent CMOS Device Models and their Application for Millimeter-Wave Transmitter Design", Agilent Goldengate Users Networking Event during IEEE RFIC Symposium, Anaheim, CA, May 2010. 6. Debasis Dawn "Development of 60GHz Radio in CMOS"€, IEEJ Research Committee on Millimeter-Wave Engineering and Science, The Institute of Electrical Engineering of Japan, Hyogo, Japan, June 2009. 7. Debasis Dawn, S. Pinel, S. Sarkar, P. Sen, B. Perumana, D. Yeh and J. Laskar "Development of CMOS Based Circuits for 60GHz WPAN applications", 2007 IEEE International Conference on Ultra-WideBand, Singapore, pp. 129-133, Sept. 2007. 1. Debasis Dawn, Yoji Ohashi, and Toshihiro Shimura, "Millimeter Wave Module having Probe Pad Structure and Millimeter Wave System using Plurality of Millimeter Wave Modules", United States of America Patent Number: US 6,867,661 B2 March 15, 2005. 2. Debasis Dawn, Yoji Ohashi and Edmar Camargo, "Transmission Line to Waveguide Transition Including Antenna Patch and Ground Ring", United States of America Patent Number: US 6,822,528 B2 Nov. 23, 2004. 3. Debasis Dawn, Yoji Ohashi, and Toshihiro Shimura, "Metal Plate with Three Dimensional Photonic Band Gap Structures for Parallel Plate Mode Suppressor", submitted to Japanese patent office for international patents, No. 99-51703.